IT Service Management (ITSM) is, in my opinion, the art of implementing and maintaining IT services to cater to the demands of an organization for both day-to-day and future operations (there are of course many other ITSM definitions out there). Then the ITSM field consists of many role types, for instance the IT support team, who will probably use some of the more popular ITSM frameworks (or approaches) – such as ITIL, COBIT, the Microsoft Operations Framework (MOF), The Open Group Architecture Forum standard (known as TOGAF), etc. – to help them to establish and deliver stable and cost-effective IT and business services for their organizations. This article looks at the pros and cons of adopting one or more of such ITSM approaches. And hopefully, it will encourage you to think about how such approaches will help, and maybe hinder, your organization. Before looking at the benefits of adopting one or more ITSM approaches, it’s worth noting that these approaches might be offered in a number of forms. For instance, ITIL is considered a framework of guidance. ISO/IEC 20000 is a service management standard. And COBIT is a methodology. So, it’s therefore incorrect to simply call them all frameworks if we want people to appreciate their differences. The uniformity of IT procedures. The use of an ITSM best practice framework, such as ITIL, helps organizations with standardizing their IT processes and procedures (or capabilities). Not only does this standardization help to improve operations across the triumvirate of quality, speed, and cost; the best practice processes and procedures can be optimized for a business’ particular needs and operations. A higher return on investment (ROI). Using an effective ITSM organizational structure can help in boosting the individual and collective productivity of the resources within the organization and thus ensures better returns on investments in people, process, and technology. Additional cost savings. ITSM frameworks help the internal resources to resolve complex issues easily and curtail unnecessary costs thanks to the use of, ideally optimized, best practices. There are, of course, other benefits from ITSM best practice approach adoption. Feel free to add your opinions in the comments below. Adaptability issues. Some ITSM approaches can be considered inflexible by organizations that have significant expansion plans. For example, large organizations that are continually widening their existing business operations will often face scalability issues. This can then undermine the organizational goals in the long run. Compatibility issues. Certain ITSM approaches are not compatible with some IT-related operations and software used within an organization. This may be due to some approaches not yet supporting new ways of working, such as DevOps, or new technologies, such as cloud platforms. An organization should thus check on an ITSM approach’s compatibility with its desired ways of working and technology choices. And the solution is likely to be a blended approach of various approaches to cover off all their requirements. That it’s an indoctrinated approach. One of the major drawbacks of ITSM approach adoption, we see, is that it’s often indoctrinated into the organizations – i.e. it’s just the “done thing” in terms of what has always been done or it’s adopted without any specific business context. Instead, organizations need to firstly understand that simply adopting an ITSM approach will not turn it into an IT service delivery and support superstar overnight. And secondly, there’s a need to align the provided IT-related services to business needs, through the proper channels, to achieve your organization’s objectives. It isn’t really important where in ITSM you reside or work, it’s evident that we’re experiencing a radical change and transformation in technology use and the need for higher-quality IT services. And, as such, the importance of ITSM has increased in these digital times. With the requirements of digital transformation, IT organizations using the new version of ITIL will need to focus on value systems. So, start to understand what value is (in the context of your organization). In order to adopt the concept of value systems, organizations will need to ensure that the probable (business) value of IT investments are thoroughly understood and are capable of being realized to the full potential. The ongoing assessment of value (in the context of IT investments) will need to be in terms of what business stakeholders determine value to be. This is likely to start with revenues, costs, and risks, but there’s a need to agree your local definition with business colleagues. Choosing an effective ITSM framework, methodology, or standard to adopt, and – as part of this – setting up a robust IT support team is imperative for any organization that needs to ensure that it’s ready to face the current and future challenges and opportunities for IT service delivery and support. And, in doing so, they should be very aware of both the benefits and drawbacks of adopting an ITSM approach in general along with the relative merits of the available frameworks, methodologies, and standards. Plus, with the current pace of business and IT change, there’s also a need to understand how such approaches will be changing over the next few years. If you want to add to my list, or share any opinions on approach adoption, then please do so in the comments section below. 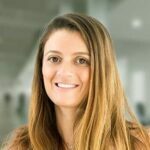 Maria is a Content Marketing Manager and Product Specialist at GreyCampus with eight years rich experience on professional certification courses like PMI- Project Management Professional, PMI-ACP, Prince2, ITIL, Big Data, Cloud, and Six Sigma. See why "blockchain organizing" means the IT landscape, first design and architecture and after that development and management, will fundamentally change.